Despite his exalted place at the top of City Hall, Penn himself remains a mystery to many Philadelphians. What led this son of famous war hero to the pacifist Quakers? How did a well-connected English Dissenter end up in America? Why, despite voicing his desire to become “an adopted American,” did he spend so little time here? And why did he try to sell the colony back to the Queen? 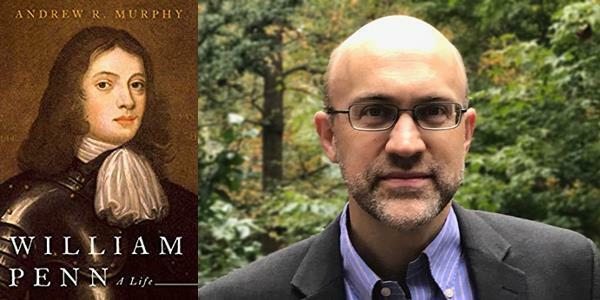 Drawing on his new biography William Penn: A Life, author Andrew Murphy, will bring William Penn down from his pedestal and explore the significant aspects of his extraordinary life. This program is co-sponsored by the Library Company of Philadelphia and the Arch Street Meeting House Preservation Trust.